Yes. The Yo-yo Gospel. Sure, it may sound ridiculous but hear me out. Lately, in a fit of nostalgia and more probably, childlike glee, I have had a renaissance with the yo-yo. I was first introduced to the yo-yo in the second grade when I saw some kids on the playground with the Yomega X-brain. I begged my mom to get me a Yomega Fireball and she finally caved. I came home from the mall with my newfound source of joy and ripped it open. When I finally removed the pesky packaging from my coveted prize I quickly put the end of the string around my finger and in one fail swoop managed to tangle my precious yo-yo in a rat’s nest of frustration. But, over time and with much practice I was able to finally throw a yo-yo and get it to do the most important of all things- to sleep. 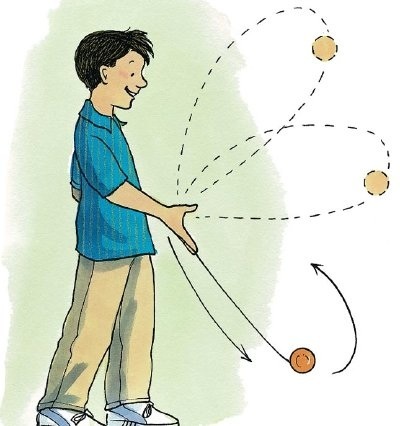 You see, the sleeper is the foundation for almost every trick you can do with a yo-yo. After a while I developed some significant skills with my weapon (legend has it the yo-yo developed as a weapon in the Phillipines), at least I thought so anyway. I could walk the dog, go around the world, rock the baby, scale the Eifel Tower and even ride the elevator. After a while though, I lost interest in my yo-yo because I encountered a few problems. Number 1 was that I was in second grade, thus the maintenance regimen for my yo-yo was dependent upon my mother’s subsidization, number 2 was that tricks got increasingly difficult, and number 3, finally, was that my yo-yo strings broke while performing around the world indoors and I broke one of my mother’s favorite picture frames. Whoops. Life moved on and I duly forgot about my yo-yo. Then I encountered it again through my students at EFC. I saw them doing some crazy tricks and asked if I could see their yo-yo. To my surprise I found that yo-yoing is similar to riding a bike. My wife was shocked that I had this secret “talent”. So I got a yo-yo and I am now able to do some pretty advanced tricks. Between homework assignments I will intersperse some yo-yoing. This means I get lots of practice… cause I have lots of homework. Anyway while I was doing a particularly involved trick called Cold Fusion I got to thinking. I realized how absurd it was that I’m doing such a complicated thing with string and a piece of metal/plastic. See, the yo-yo is extremely simple. It’s a classic toy- one that has been around for centuries and has entertained even my grandparents. The basic premise is that a circular object descends down a string and returns back up the string. Fun. Simple. The yo-yo is a giant paradox. It is simple enough for a child to pick up and use and complex enough for the masters to baffle everyone with. The Tuesday after next I will begin a new teaching series at Praxis Youth Ministry. I will be teaching through the book of John. The book of John is the yo-yo Gospel, for it is simple enough that a child can understand what it says and complex enough to have warranted the largest body of Biblical scholarship throughout history. This Gospel is perfect because it is a great entry point for anyone and it is deep enough to keep even the most seasoned Christian on their toes. When you read through John’s account of Jesus life, you WILL encounter Christ. You cannot get around it- Jesus is the center of John’s Gospel. It teaches us more about the person of Jesus than any other body of scripture, in my opinion. John begins his narrative of Jesus with the beginning. He takes us on a journey through the magnificent work of Christ and the story of His redemption of humanity through history. It begs us to ask ourselves where we fit within the narrative of salvation. How is the story of Jesus continued with us? John’s Gospel will ask these questions of us- even if they are just implicit questions. So I want to encourage you- if you’ve never read the Bible before, start with John’s Gospel (4th book in the New Testament, about 3/4 of the way through the whole Bible). If you’ve read through the Bible more than once- read John’s Gospel again. Meditate on it. Let the presence of the Word saturate you in the Gospel story. If you are just checking out Jesus for the first time- John is a great place to start. If you’ve gotten a little distracted from your relationship with Christ by the busyness of life- John is a great place to re-encounter Christ. If you’ve been a faithful Christian for a long time, John has a wealth of spiritual depth to discover and mine. Let us ultimately remember the words of John (The Baptizer), “He must increase, I must decrease.” Amen. So much good stuff in there! Includes my favorite Chapter in the Bible, John 15!